This summer I read many a book. 90% of them were children’s books under 20 pages long, so in my spare time it was great to sit down to a slightly more intellectual book. 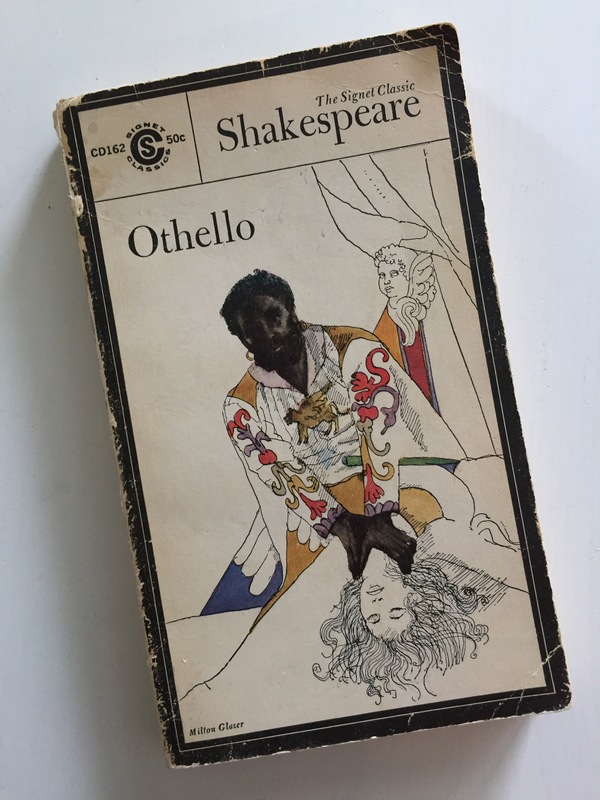 Othello is one of the classics, though I was never assigned to read it in school. Part of me is sad about this because I’ve missed out on class discussions and a teacher’s interpretations of the work. Yet, the more realistic part of me isn’t disappointed because I probably wouldn’t have read it then anyways. If you haven’t read Othello, do. The plot is enjoyably dramatic, even if you already know the gist of it – it’s worth a full read through. Plus you get to experience what I assume to be one of the earliest uses of the word “holla” as well as the wonderful expression “light of brain”. Every part of me is excited to use that figure of speach as much as possible. I have absolutely no idea why “light of brain” has fallen out of use, as I personally have daily use for it. Categories: 30 before 30, Art, Books, Culture | Tags: adult reading, August, drama, enjoy, Othello, read, reading, Shakespeare, summer | Permalink. Prior to reading this book I had read Waters’ first book Tipping the Velvet. If memory serves, both books take a while to get into and I don’t know if it’s just me, but I didn’t find myself getting wrapped up in the plot of The Paying Guests until at least 6 or 7 chapters in. Though, once this book gets going it really gets going! I recommend just speeding through the first few chapters to get to the good stuff, you’ll be glad you did. Definitely a great summer read! All in all The Paying Guests was a fun read, and I will definitely check out more books by Waters. This being the sixth book Waters has written I have a few to choose from, though I think I’ve already decided on reading Fingersmith next. Categories: 30 before 30, Books | Tags: author, book, books, BOTM, July, read, reading, Sarah Waters, summer, sunny | Permalink. 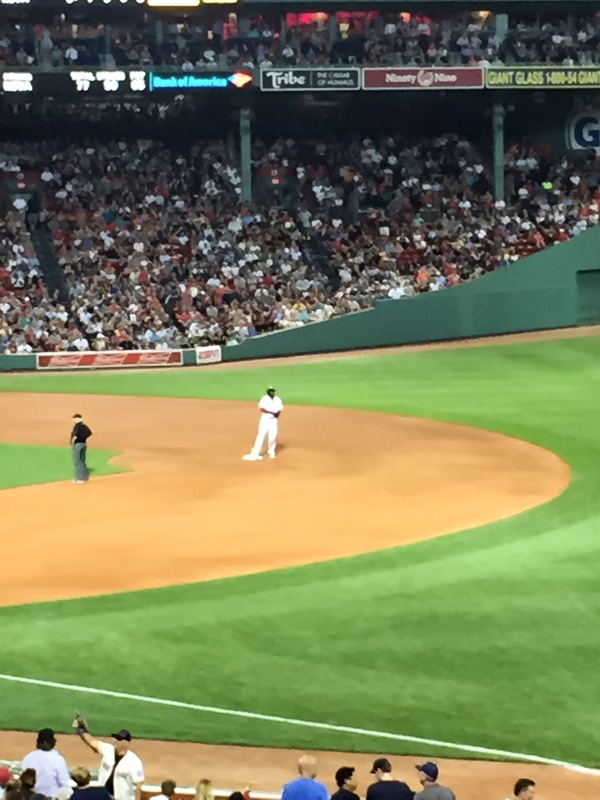 Speaking of summary activities (see my memory lane series), this August my Dad and I caught a ball game together. As you may have picked up on, I live in Sweden. I don’t know if you know this, but Sweden is not close to Boston. I mean relatively, it is close, when you take into consideration the expansive universe in its entirety. But it still takes me like 10 hours to get there door to door, so in my tiny human world, it’s far. 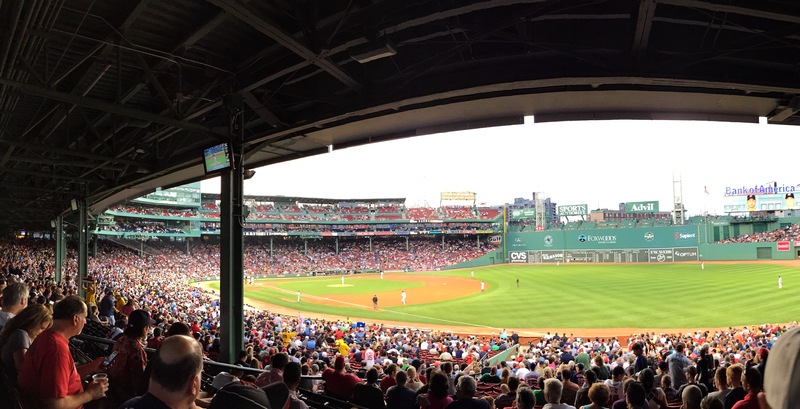 For Father’s Day 2015 I got us tickets to see the Red Sox play the Yankees in the major league baseball’s oldest ball park. 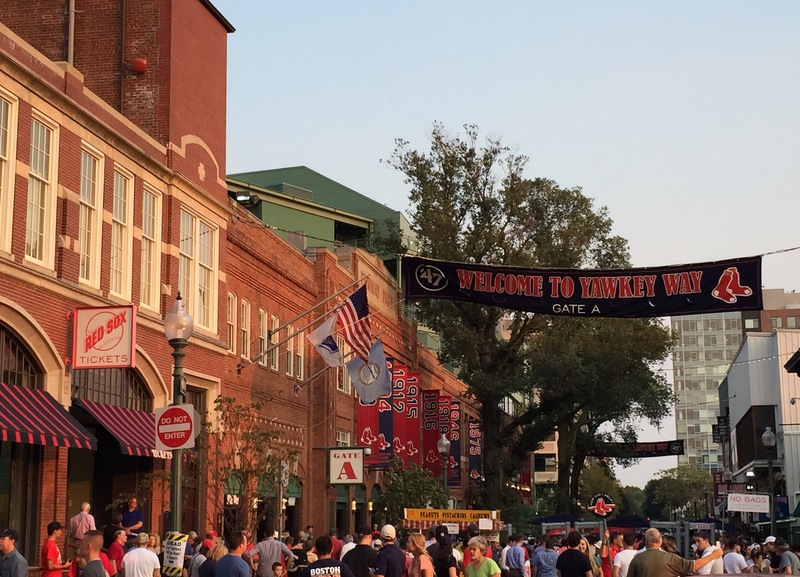 Opening in 1912 Fenway Park….actually, you know what, you can Google Fenway park if you like, and this isn’t a public tour of the stadium. So back to the game. 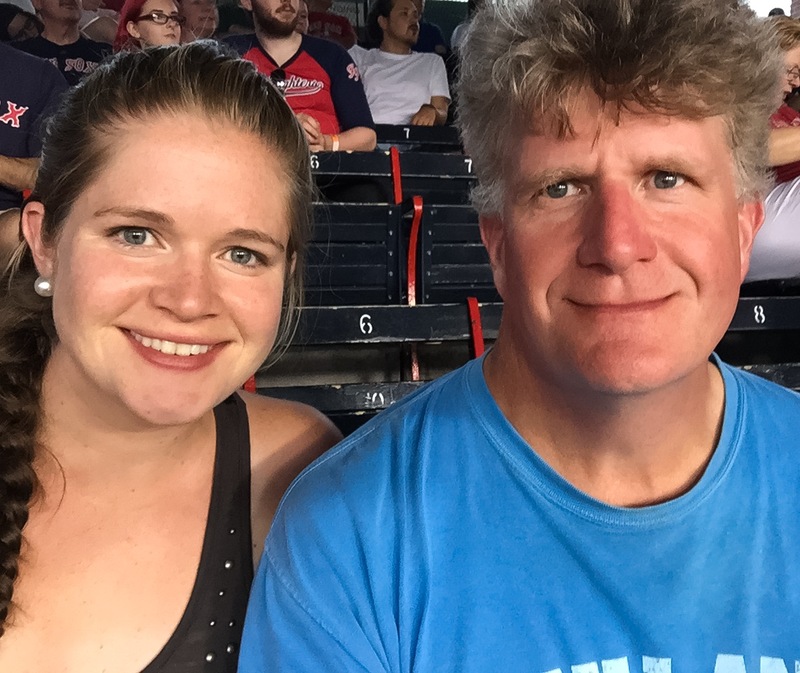 My Dad is a die-hard Yankees fan, yet despite his best efforts his first-born was influenced heavily by the local atmosphere and became a Sox fan. This always ends in my embarrassment as we ride public transit in Boston and my father is fully decked out in Yankees gear. He has yet to be assaulted though, so that’s the up side. We enjoyed the evening thoroughly with good seats, great company and a little stadium food. Plus, with a 4-3 win for the Sox I was a very pleased Boston fan that evening. Though on the ride home my father became quite the surpuppa (as we say in Swedish). Surpuppa is not only a really fun word, but it translates to sourpuss, which is also a really fun word! Good times all around. 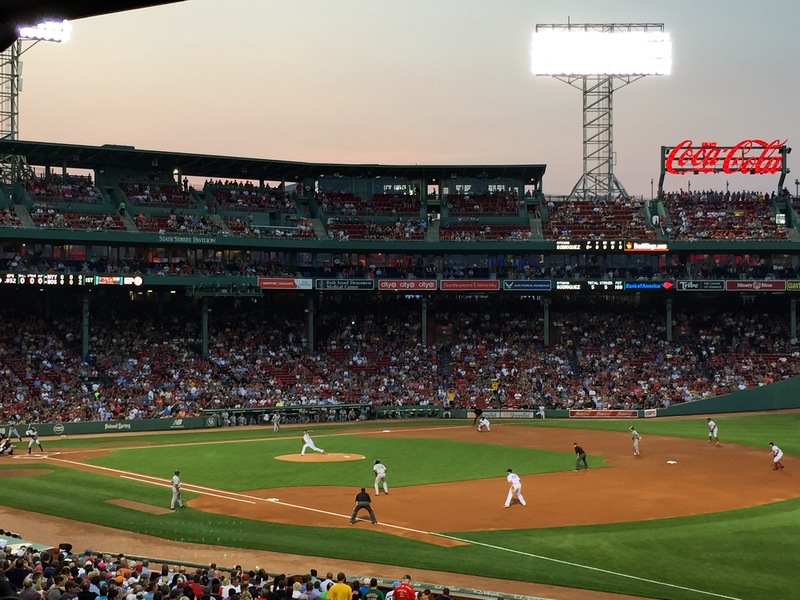 Categories: Culture, Family, Humor, Life | Tags: August, baseball, Boston, celebrate, Dad, daughter, enjoy, father, father daughter day, Father's Day, New York, play ball, quality time, Red Sox, summer, Yankees | Permalink.